The MIRROR LAKE SCENIC BYWAY has been open for more than a week and the Uintas are thawing out…..moving closer launch of my backpacking schedule…. but……….I made a huge miscalculation accepting a chemotherapy treatment for skin cancer from neck and shoulders up….& .am suffering the burning pains of “hell” for it and working on recovery just as quick as possible……all will be informed when that is behind me and High Uintas Wilderness Project begins for this summer….hopefully as soon as the thaw opens up the high country trails! Because of the chemo therapy I have been suffering through…I’ve been set back a couple of weeks. For my advice on Survival and what I do and recommend everyone do for your safety & also my changes in gear and suggestions on food…please go through the 4 parts of my speech at Coalville. Check out the summary that heads each part for the items that interest you most. You’ll notice that Parts 3 & 4 have specific mentions of these items. 2. 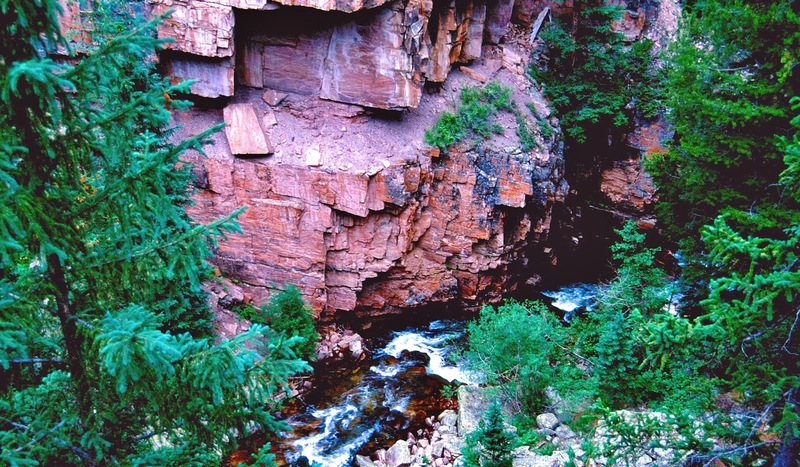 ROCK CREEK (Upper Stillwater) TRAILHEAD….closed until further notice due to rock slides. *NOTE: These drainage’s suffered micro-burst windstorms that knocked down many trees. Crews have cleared the lower portions of these trails, and continue to work to clear the trails. By Tuesday or Wednesday I will leave for Trip #1 from the Lake Fork Trailhead, and will post here the link so you can follow my trail on the SPOT Tracker website. We will now go directly to the Backpack Schedule for the 15 trips . 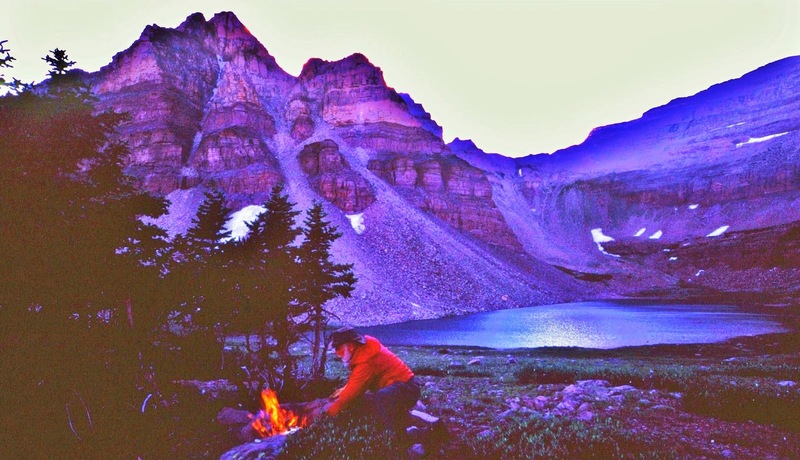 Here is my “DREAM LIST” of remaining backpack trips I want to make before hanging up my backpack and saying the HIGH UINTAS WILDERNESS PROJECT “is finished.” The list has now grown to 14, and will probably be added to. I’ll start pecking away at them during the 2014 season, and hope to continue in my 80th year in 2015…and we’ll just see how long I can go to “NOT GIVE IN EASILY!” and finally get the job done. Due to sort of being an old guy I might have to contact Lance, or Alex Rodriquez and get some “performance enhancing” medications!!! We will focus on the HIGH UINTAS WILDERNESS–we see below with 14 scheduled trips pinpointed: Green Trailhead area, and Yellow the backpack area. The 14 trips listed below add up to at least 21 of the greatest lakes re-visited, and 117 new lakes tested for fishing, photographed, and reported on with YouTube videos, photo/essays and on KSL Outdoor Radio. 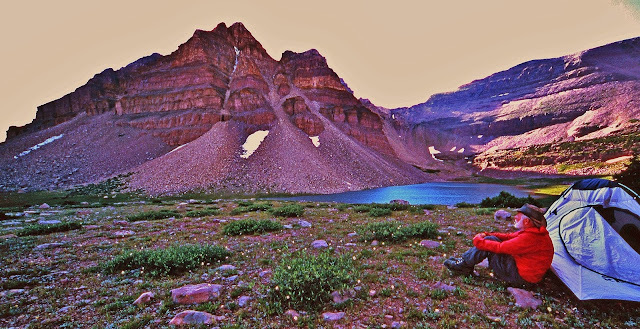 I will have logged another 430 miles that will bring my total to a bit over 2,000 miles of backpacking in the High Uinta Mountains since 2003. These backpacks will also have me completing my goal of scaling all the 22 passes in the High Uintas Wilderness (actually 24 if we include what I call “East Fork Pass” at 12,165 ft. and Hades Pass, at 10,700 ft.) plus getting to peripheral areas that have escaped me. Depending on how it’s going I might just scale another couple of the highest peaks–like 13,219 ft. Mt.Lovenia, seen above in the 2nd photo on East Fork Pass. 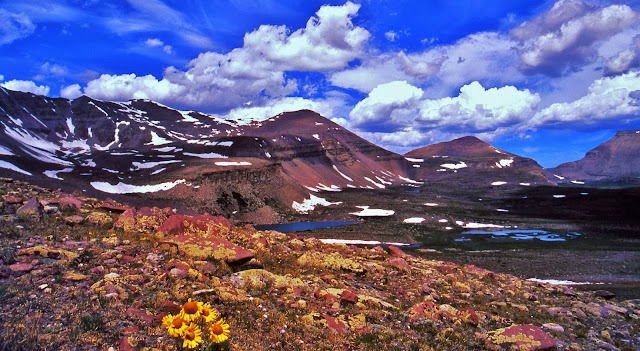 Of great importance I will make it one more time to a couple of three or four of the truly beloved exotic wilderness areas in our incredible High Uintas Wilderness–UTAH’S GREATEST WILDERNESS!. Soon I’ll start warming up for the backpack season with an occasional call to KSL OUTDOORS RADIO on Saturday morning. Click on that link to listen online to Tim Hughes and Russ Smith and to access pod-casts of all programs. During the backpack season I’ll be reporting from all the areas below with a sat phone provided by Russ Smith and Skycall Satellite. I’m picking up in this backpack at least 7 off-trail lakes that most never see. From Clements Lake we see here you leave the trail to seek more than half a dozen remote off-trail lakes. Trip #2 – LAKE FORK TRAILHEAD – to East Basin Pass/Basin, Horshoe, Picture, X-83, Three Lakes, Cleveland Pass-Lake, Squaw Basin-Squaw, Shamrock, Diamond, Mid, Rudolph, Tworoose Pass andLake, Lily, Kidney, Little Dog, Big Dog Lakes, and back to Trailhead. 16 lakes, 43 miles, 5-7 days. This loop takes me through the area where I have seen and heard the most elk, as well as making possible exploring one of the areas known for possible old Spanish mines, and the Lost Rhodes mine. Also Tworoose Pass, 10,600 ft., one of the 3 scaled in this backpack, and among the 4 in the Wilderness I have not yet conquered. From East Basin Pass we head deep into the Wilderness through East Basin and on to Cleveland Pass where one night I was surrounded by elk and their musical sounds. This backpack takes me one more time to off-trail, above timberline, mythical Continent Lake for a worthy photograph, then climb once more Dead Horse Pass (11,700 ft.) for yet another photograph of the magnificent scene. 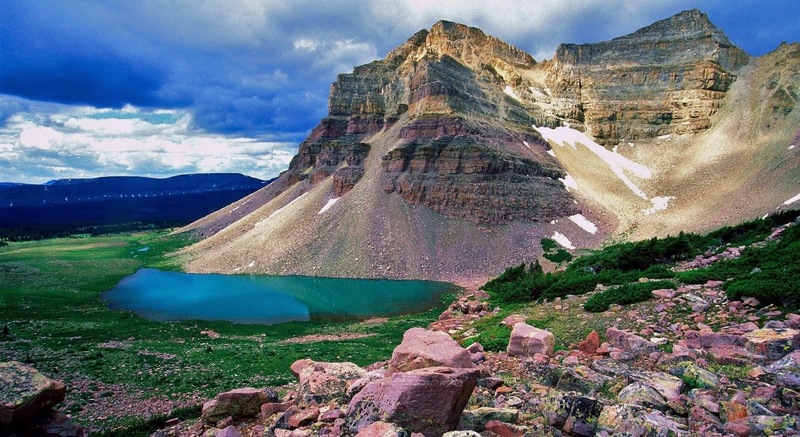 I will then backtrack and on to the spectacular, off-trail Reconnaissance Lake-Triangle Mt. area, that for for me rivals Red Castle as one of the most beautiful mountain scenes in Utah. From there I will scale the 11,800 ft. Allsop Saddle to photograph this wonderful alpine scene where is born the East Fork of the Bear River. 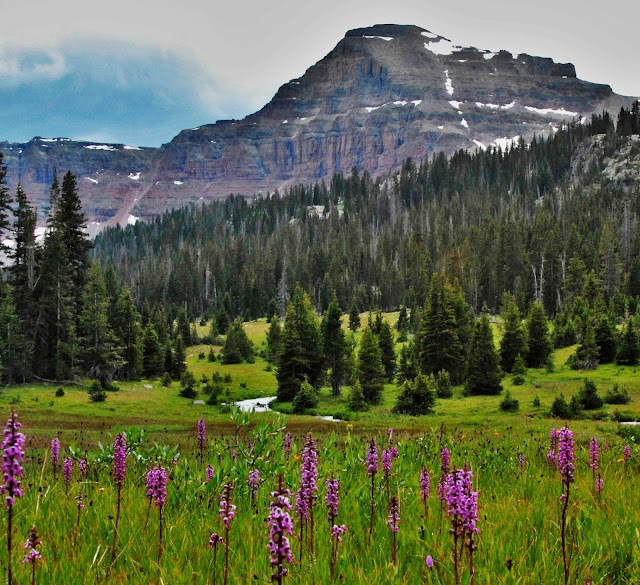 The hike will take me up and down two Rock Creek routes that I have never hiked in the area, once again making possible exploring more of the this drainage important concerning the earliest white people in the Uintas–Spaniards as early as 1540, and the Lost Rhodes mine. I’m not a treasure seeker but have interest as an explorer and historian. The day dawns on this exotic scene. Remote Reconnaissance Lake and Triangle Mt. one of the most beautiful scenes in Utah. The time of day, different light, elevation of view and angle have the beauty evolve continually–from beautiful to breath-taking! Feasting on the scene’s magnificence at twilight! I can’t hang-up my backpack until I experience this magnificent spot one more time! Click for TOPO MAP Trip #3-2014-15 ROCKCREEK DRAINAGE. Trip #4 – WEST FORK WHITEROCKS TRAILHEAD – Queant, Cleveland Lakes, Fox/Queant Pass, Crescent, Fox, Brook Lakes, North Pole Pass, Taylor Lakes. 7 lakes, 21 miles, 4 days, This backpack will take me over two of the last 4 passes I haven’t conquered yet: Fox-Queant at 11,200 ft., and North Pole at 12,226 ft. (which actually is just slightly out of the Wilderness area, but close enough). 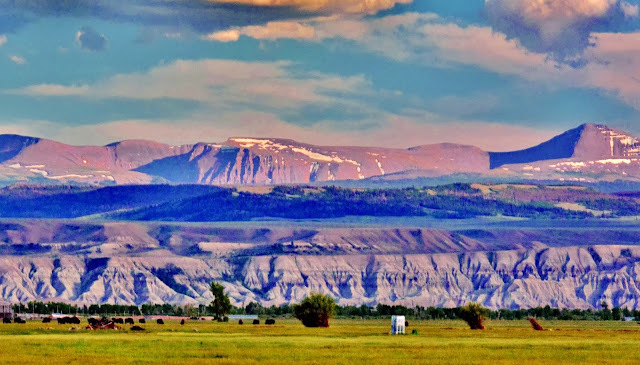 In the middle background is seen Fox-Queant Pass over which I will go to swing through the upper eastern Uinta River Drainage and then come back over North Pole Pass which is out of the picture to the right. 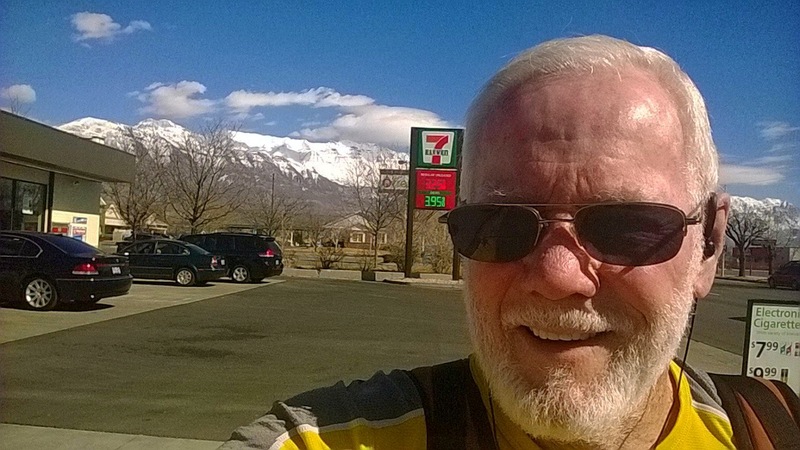 Click for TOPO MAP and ELEVATION PROFILE Trip #4-2014-25 QUEANT-FOX, NORTH POLE PASSES. Trip #5 – UINTA RIVER TRAILHEAD – Pippen, Krebs, Chain and Oke Doke Lakes, Roberts Pass, B-29, Carrot, Allen, Allred, Roberts, Atwood, U-19, U-22, George Beard Lakes, Trail Rider Pass, Beard, U-75, U-76, Milk, Gilbert, U-79, Verlie, Rainbow, 4 no-name, Davis 1,2 Lakes, North Park, 4 Painter Lakes, to trailhead. 31 lakes, 78 miles, 8-10 days. I have been through this magnificent drainage 4 or 5 times but there are peripheral lakes in side canyons and basins that have escaped me. 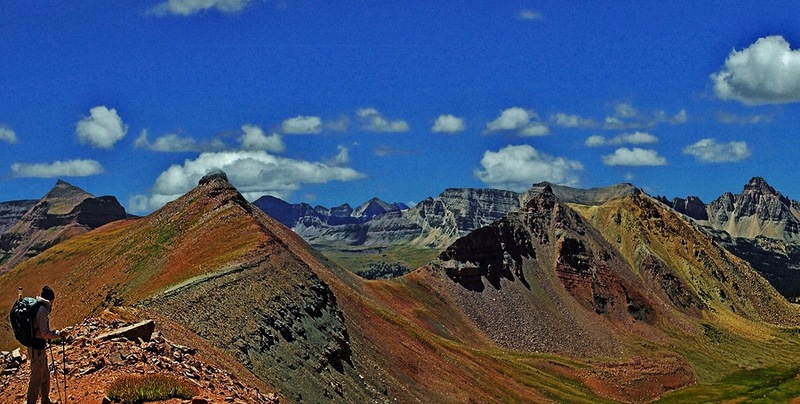 Also I can’t rest until going back one more time to Trail Rider Pass, and 13,387 ft. Mt. Jedediah (my name for this no-name mountain) that guards two alpine lakes where I have caught the largest Eastern brook trout that easily would have been the Utah State record, and that year would have won the FIELD and STREAM Fishing Contest beating out areas, such as Canada, that have always been dominant for brook trout. From Trail Rider Pass looking back to the southeast, where we came from, we see on the far left Lake Atwood, then at our feet below the pass on the left we see George Beard Lake where on my 27 day expedition I had the fastest fishing of the trip. On 20 casts I caught and released 15 sassy wild brook trout. I call this the George Beard Basin where two other above timberline lakes seen to the right have escaped me on 3 hikes through the area, and they will be tested and reported on, along with a whole bunch of others on this long backpack. 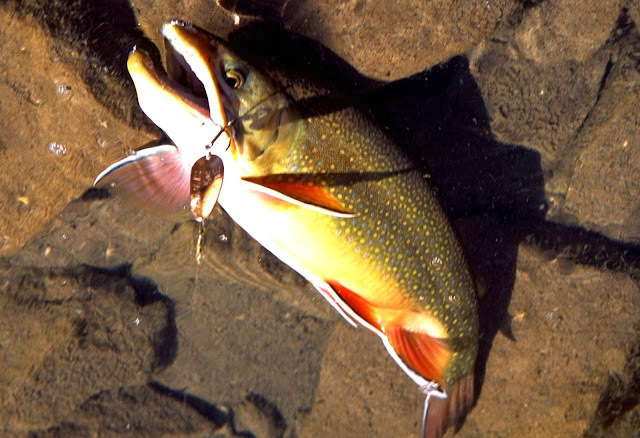 Here’s one of the huge brook trout….still alive in crystal clear water 36″ deep……..its length estimated at 28″……..
……. that would have quite easily been the Utah State record and winner of the Field and Stream fishing contest that year. 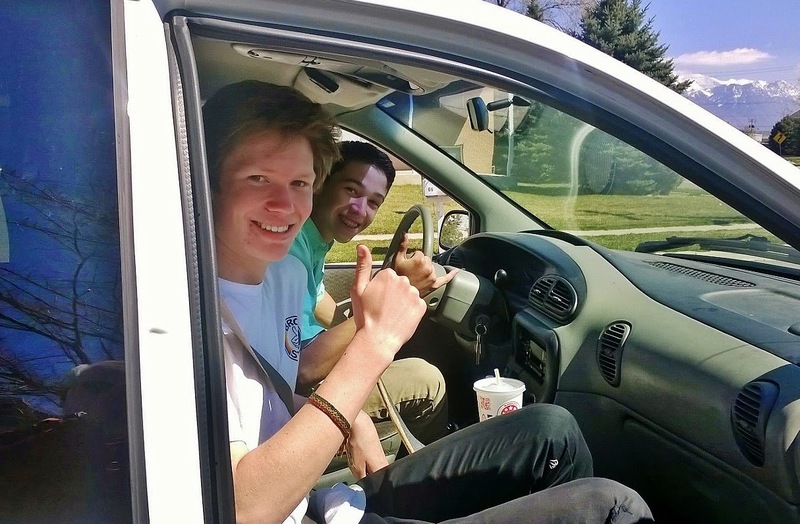 Click for TOPO MAP and ELEVATION PROFILE: Trip #5-2014-15 UINTA RIVER DRAINAGE. This remote, off-trail alpine lake is just outside the Wilderness Area but is enchanting to me for it’s beauty, isolation, and as the lake where the Utah Division of Wildlife Resources (the Fish and Game for us old guys) netted the oldest brook trout recorded in the Uintas, it being 13.5 years old which is very rare for alpine lakes. It was only 3.5 lbs, but nonetheless fascinates me and I hope I can make it up that mountain after fording the East Fork of Bear River. By the way, in its hay day, that brookie would have also likely been a Utah State record. Something in this mysterious 10,562 ft. high alpine jewel could again have a record Eastern brook trout. This trip takes us up the East Fork of Bear River, the longest river in the hemisphere that doesn’t empty into an ocean–500 miles long flowing from here into Wyoming, then swinging through Idaho and back to empty into the Great Salt Lake. Click for TOPO MAP and ELEVATIONS: LAKE LORENA. In the upper reaches of Middle Fork of Blacks Fork, we take the left hand fork up into a drainage and a small glacial cirque at the foot of Tokewanna Peak (13, 165 ft. high) where there are two no-name lakes I will photograph and test for fishing. Click for TOPO MAP and ELEVATIONS: MIDDLE FK BLACKS FK. This will be my 3rd trip up the “Big Foot Trail,” where last year I had a couple of Sasquatch related experiences (if you’re curious see my YouTube Video #2-2013) . I’m not going up there for that this time, even though if he wants to find me and give me a chance to take his family portrait, I’d love it, but this time I will focus on the off-trail alpine lakes up high on the west side of the drainage. The remote no-name lakes I’m after are up there above the pines and below those peaks. I call this “The Big Foot Trail” as he (it?) has reportedly been seen a number of times in the area, and I mentioned several Sasquatch experiences on my summer trip in the area. See below…do you see HIM? Click for TOPO MAP and ELEVATIONS: LITTLE EAST FK ALPINE LAKES. Trip #9 – HENRY’S FORK TRAILHEAD – Alligator, SawMill, Bear, G-10, G-39, Grass, Island, Henry’s, G-4, Blanchard, Castle, Cliff, G-98 lakes. 13 lakes, 28 miles, 4-5 days. Once again I have been up this drainage going to Kings Peak several times, and even getting to the two most remote and mysterious lakes–Castle and Cliff, but there are a whole bunch of lakes that have escaped me I want to explore. I do need to get a better picture of Castle Lake and Castle Mountain that guards it, and I have to get back to Cliff Lake as it was there that I had one of the two most exciting fish strikes of my freshwater experience. It was early in the season with murky water due to the thaw. While reeling in my Thomas Cyclone lure I was distracted looking at the scenery when all of a sudden an “alligator like” rush at my lure almost stopped my heart and splashed drops of water on me from 20 feet away! I missed him (or her) but would like to cast into this most remote lake in the drainage just one more time. This is remote Cliff Lake where I had the “alligator-like” strike and have to try it once more! 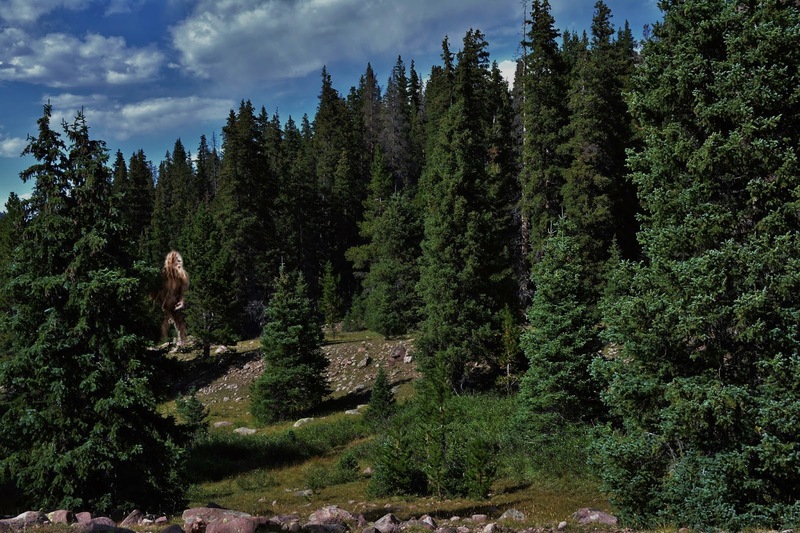 Click for TOPO MAP and ELEVATIONS: Trip #9-2014 HENRYS FORK. Trip #10 – MIDDLE BEAVER CK TRAILHEAD – Hidden, Beaver, Coffin, GR-143 and GR-177 lakes and Thompson Pass. 5 lakes, 26 miles, 4-5 days. A couple of years ago I had a wonderful backpack up West Beaver Creek to Gilbert Lake,and others up higher on the slopes of Gilbert Peak (Utah’s 3rd highest), but the even more exciting Middle Beaver Creek drainage has escaped me, as well as Thompson Pass which will complete my scaling of all the passes in the Wilderness. 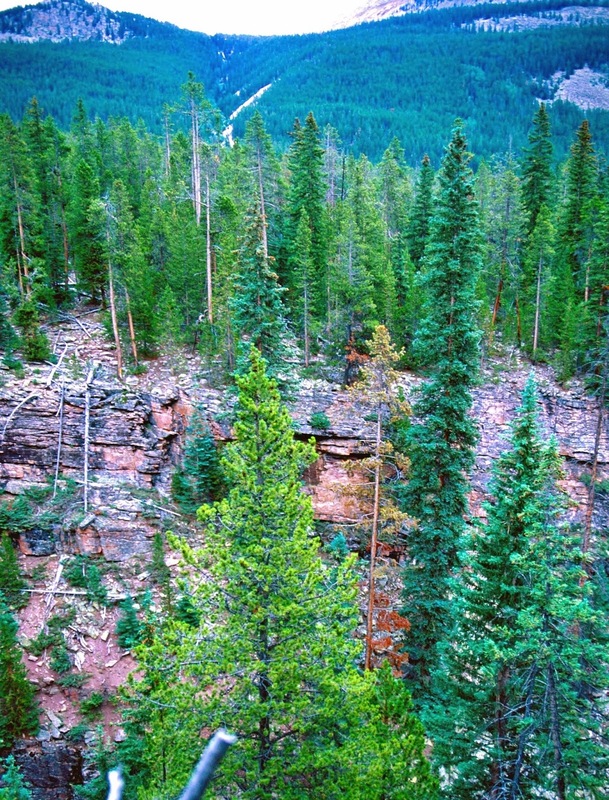 Here we are looking at the Northeastern slope of the High Uintas with the Beaver Creek Drainage in full view between the foot of the mountains and the dark line of pines, with Gilbert Peak, 3rd highest in Utah at 13,342 ft., on the right, and Thompson Pass and Peak on the left. Click for TOPO MAP and ELEVATIONS: Trip #10-2014-15 MIDDLE FK BEAVER CREEK BASIN. Trip #11 – MIDDLE BEAVER CK TRAILHEAD – no name lakes west of trailhead. 5 lakes, 7 miles, 2 days. To the west of the Trailhead are a bunch of off-trail lakes that I just have to explore and photograph. Click for TOPO MAP and ELEVATIONS: Trip #11 WEST OF MIDDLE FK BEAVER T.
Trip #12 – East Fk Blacks Fk TRAILHEAD – East Fk Pass, Red Knob Pass, Crater, Lambert, Oweep, Porcupine Lakes, Porcupine Pass, 3 no-name lakes in upper Garfield Basin, back to Porcupine and Squaw Pases and down Little East Fk to Trailhead. 7 lakes, 48 miles, 7-9 days. Once again we are talking about an area I have been through a number of times, but have neglected peripheral lakes. I did pick up Porcupine Lake last year, as well as Squaw Pass, but this time I will doggedly take the extra long route to carefully accomplish for me some critical goals: First, another time photographing the magnificent view of the “spine of the High Uintas” best seen from what I call East Fork Pass you see below, maybe even spending a night up there to get some unique shots, and then climbing 13,219 ft. Mt. Lovenia on the right. This is what I call East Fork Pass, 12,165 ft., the trail on the left coming up from the East Fork of Blacks Fork, with 13,219 ft. Mt. Lovenia in the right background and an un-named 13,000+ ft. peak in the middle background. The trail then goes DOWN to Red Knob Pass. This photograph was taken in mid-September 2006 on a trip to Crater Lake when I was rained on, then snow hit me and I became very sick….lying there for 3 days below Crater Lake while the antibiotic took affect, and then had to get out of there, but up here on this pass a blizzard hit me and due to my weakened condition things got complicated and I used my sat phone to call Russ Smith for help that developed into a conference call with Russ, the Sheriff of Summit County, and the Medic-Evac unit at the University of Utah Hospital. To reproduce the scene I photo shopped myself into the scene, but couldn’t re-create the blizzard! 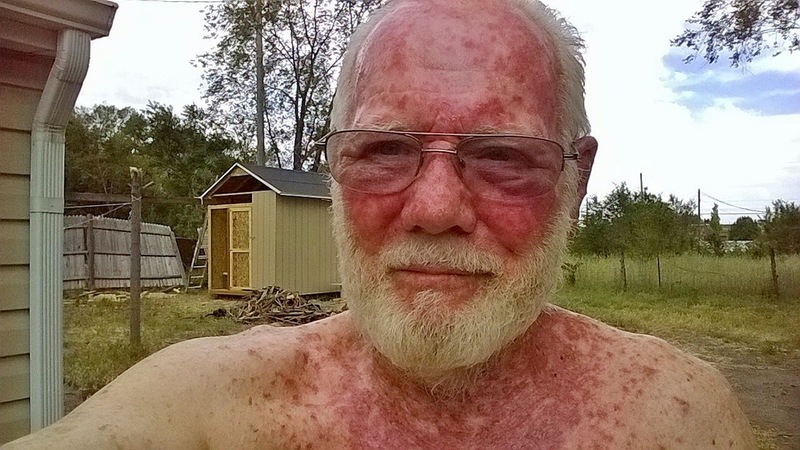 A sat phone is a must for me, as well as a SPOT Personal Satellite Tracker, along with anything an old guy might need for emergencies–including stuff for minor surgery! You must go prepared! If you don’t do everything I do for emergencies, including consistent and effective physical preparation and conditioning, DON’T EVER GO ALONE, and these things should always be done for a group, like Scouts. Click for more SURVIVAL info. On another trip we see Ted Packard awe struck by the rugged beauty of the spine of the High Uintas from 12,165 ft. East Fork Pass looking west. Depending on the weather I might attempt to bivouac up here for some special photographs, early and late. Then on to the Uinta’s deepest, Crater Lake. A primary objective of Trip #12 is to get that “perfect shot” of the lake at the foot of Explorer Peak by bivouacking up high on the ridge to the right. 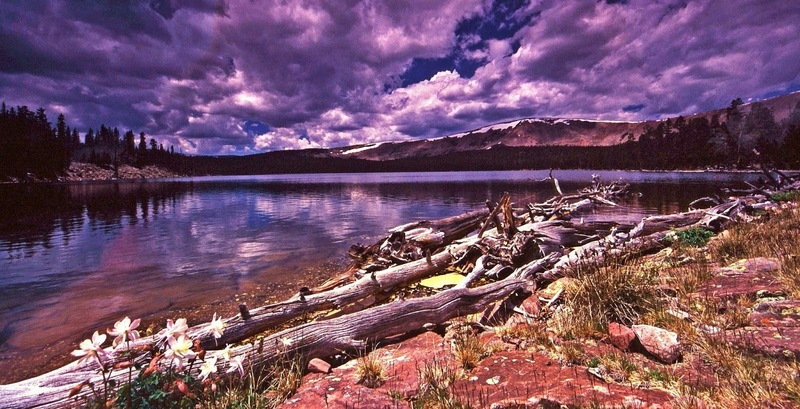 Below is seen two other views of this exotic lake–The Uinta’s deepest at 147 ft. Here I am a few years ago attempting to climb up a chute to get to the ridge, but stopped by a huge snow drift. I will make it from the other side this time. Then on to Lambert Lake, and the Oweep drainage, doing my best to get to off-trail and very remote Oweep Lake. From there I will proceed to Porcupine Pass, the Uinta’s 2nd highest at 12,236 feet, and over to the upper Garfield Basin and the 3 no-name lakes you see below, located above North Star Lake you see to the right. 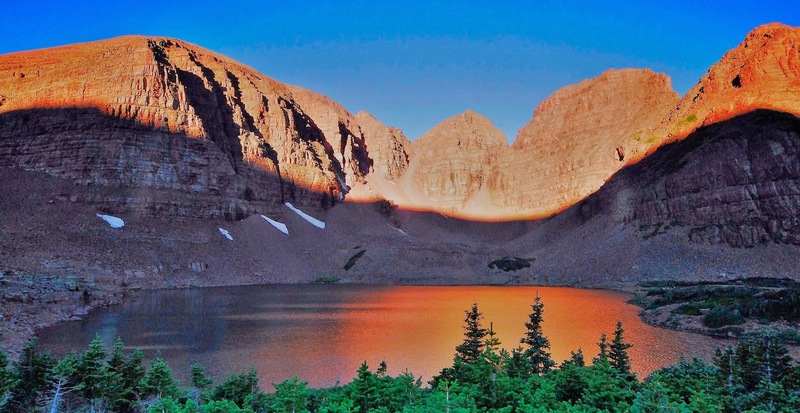 This is the view to the east of 12,236 ft. high Porcupine Pass seeing to the far right North Star and Tungsten Lakes. In the middle and left are the 3 no-name lakes that have escaped me but they will be photographed and tested for fishing this time if it’s the last thing I do, then back over the pass and down, then up and over Squaw Pass (11,742 ft.) and down “The Big Foot Trail” to the trailhead. Click for TOPO MAP and ELEVATIONS: Trip #12 CRATER-OWEEP-GARFIELD. Trip #13 – HIGHLINE TRAILHEAD – to Pinto, Margo, Governor-Dern, Rainbow, Range, and Jeff Lakes, and back to Trailhead. 6 lakes, 24 miles, 4 days. Hopefully, even a bit late in the 2015 season I will go into the Grandaddies one more time taking the Highline Trail entrance and pick up the last un-explored (by me) lakes in the area, several off-trail. Here we see the Grandaddy Basin from the south. Trip #13 will be from the north, using the Highline Trailhead way up by Hayden Peak that is to the left of Mt. Agazzi seen in the middle of the background. Click for TOPO MAP and ELEVATIONS: Trip #13-2014-15 GRANDADDIES FROM HIGHLINE TRAIL. Trip #14 – 2014 CHINA MEADOWS TRAILHEAD – RED CASTLE AREA -East Red Castle, Smiths Fork, Lower Red Castle, Red Castle and Upper Red Castle Lakes, then back to the trailhead – 5 lakes 32 miles, 6 days. If I can survive all of the above 13 backpacks I will want to do this one (if need be in my 81st year!) up from the China Meadows Trailhead on the North Slope, following Smiths Fork, named after my greatest hero among the mountain men, Jedediah Smith, and to the Red Castle area where I would like to fish one more time in the two lakes that have produced for me my record native cutthroat trout–East Red Castle, and Upper Red Castle Lakes. It was in the upper where in 1962, with my buddy Ted Packard, I caught an 8+ lb. cut, maybe with the one from East Red Castle even larger. I’ll insert below shots of the area and then the two photos of the beautiful native cutthroat trout. I will also photograph and report on Smiths Fork Pass Lake, above timberline near East Red Castle Lake, and on the trail south towards the pass that leads to the Yellowstone Creek Drainage. From a good off-trail vantage point this is the scene that takes your breath away once you get into the high country seeing Lower Red Castle Lake and Peak. The next photo below is taken from way up high to the right. 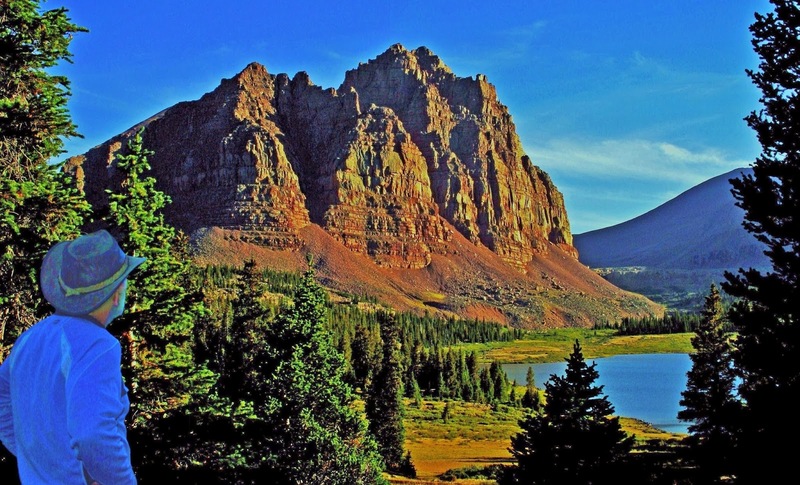 I’ll get to the fish pictures, but first look at this incredible scene of Red Castle Peak, and slightly above timberline Red Castle Lake–the Uintas 2nd largest. Below is the night view by the light of the moon. Behind me, up at 11,700 ft., seen below, is Upper Red Castle Lake on July 4th of that year–still frozen over and not fishable yet….so I’ve got to go back one more time. 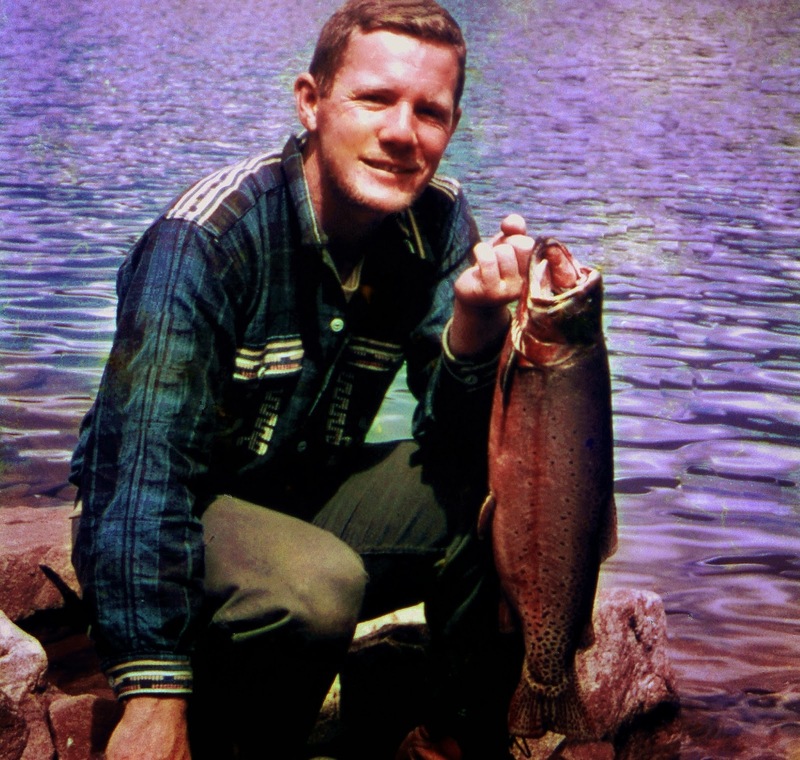 But it was here in Upper Red Castle Lake in 1962 where I caught the very thick, heavy bodied native cutthroat trout seen below–21 inches long. We wanted to take it out uncleaned to get an accurate weighing. We buried it in a snow bank, but when we returned the next day only the tale half was left which I hauled home. It weighed 3.5 lbs on a very accurate scale, and being the lighter half, without innards, we conservatively calculated its live, whole weight at over 8 lbs. Next below, we go around to the east side of Red Castle Peak where we find this jewel of an above timberline alpine lake, East Red Castle Lake, where just after a snow storm one August I caught several huge natives, the beautiful cutthroat seen last was the largest. 11,135 ft. high East Red Castle Lake that produced this nice 20 inch long cutthroat seen below. To get a couple of good photographs I wasn’t able to release him, so cooked him in aluminum foil then filled zip-lock bags to feed me for rest of the trip. NOW TO GET US READY FOR THE 2014 BACKPACKING SEASON check out the YouTube video below, and get your order in for the “performance enhancing” supplements that have kept me going for 1,600 miles and hopefully will keep working for me in my 79th and 80th years…..and maybe on into the future? 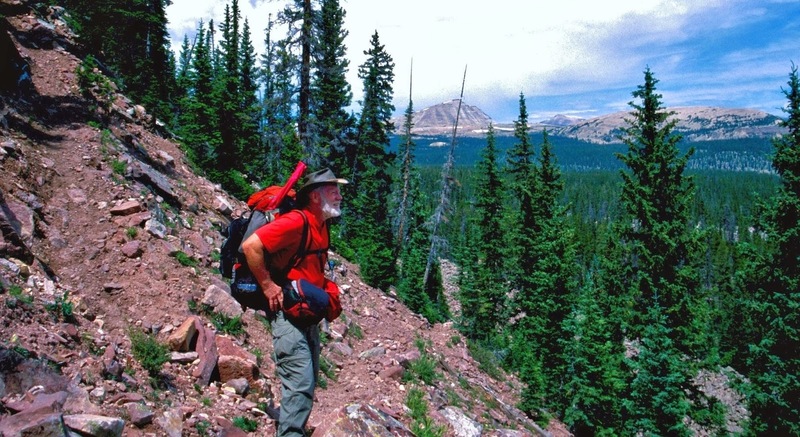 Now that your’re excited with this old geezer’s “Dream Backpacks,” which you could do too, begin getting ready right to love the 2014 backpack season with the PREPARE videos from 2012, ignoring the schedule aspects and focusing on PREPARATION. When these videos were made I hadn’t had my hip replacement yet and was still struggling with pain which is now gone…so I don’t have any more excuses! 2012 PREPARE YouTube video #9-Part 2: PREPARE with PERFORMANCE ENHANCEMENTS…that have worked miraculously for this old guy! “Little Andy,” who welcomed the challenge head on and laughed at the scoffers. Guatemala, I’m finally sent to my rest with a smile on my face! 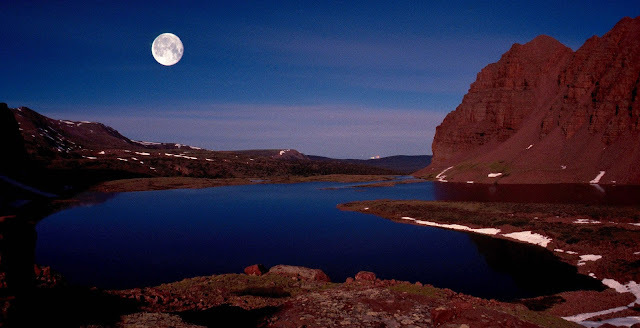 LAST NOTE: Once all of the above is achieved–and I’m still alive & kicking, I will likely tackle last the most remote and hard-to-get-to lake in the High Uintas. 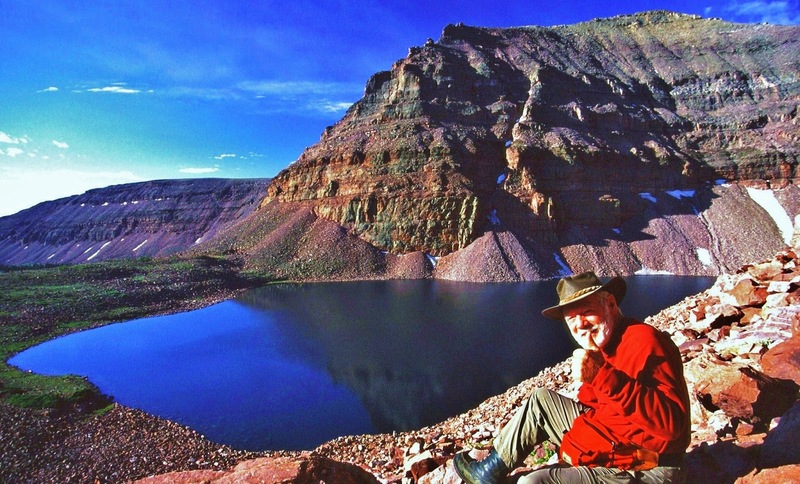 Jeffrey Probst, author of the best guide books on the Uintas describes “Thompson Lake” as “the hardest” to get to. But, in my “1,000 Mile Whirlwind Backpack” slide show you can see that I made it to Thompson Lake, so for me there’s one more difficult which is East Slide Lake, located on the east side of Oweep Creek up high in a side canyon. 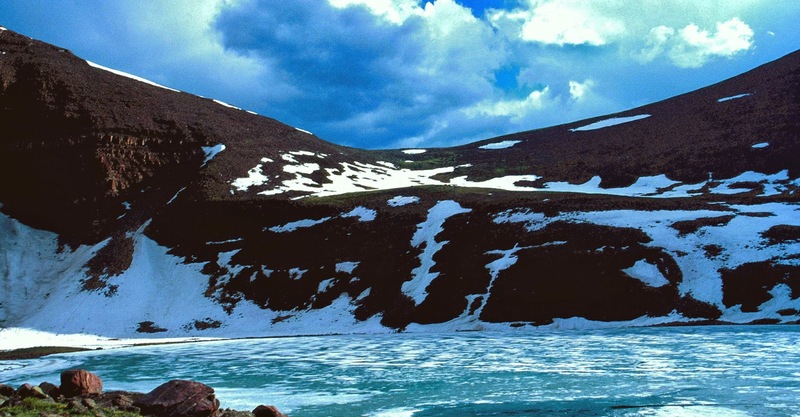 It will take going up Lake Fork to Lambert Meadows, then proceed up Oweep Creek and off-trail to Oweep Lake, and from there bushwhack down the side of the canyon to East Slide Lake. From there, bushwhack down to Moon Lake and the Trailhead. From East Basin Pass we look across Lake Fork & Oweep Canyons towards the side canyon where is found East Slide Lake. The direct route would be from the Lake Fork Trail crossing Lake Fork, then Oweep Creek to bushwack up to East Slide Lake, but the problem is the cliffs of the gorge we see below. 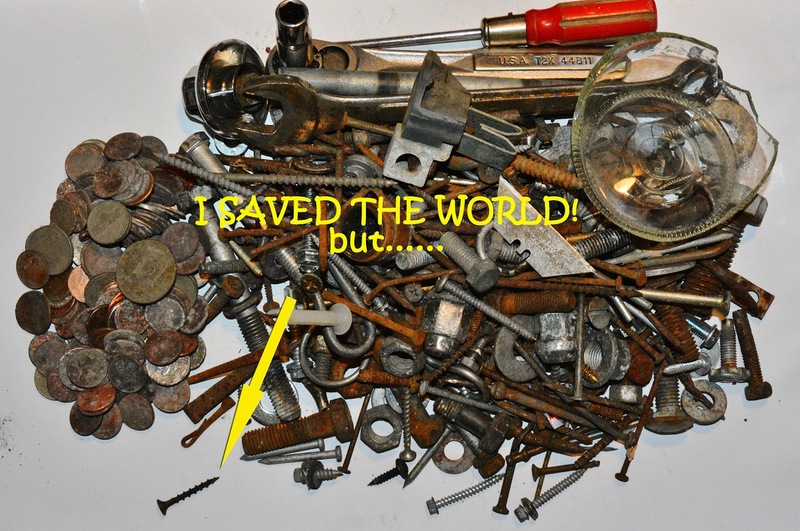 SAVED THE WORLD….COULDN’T SAVE MYSELF! 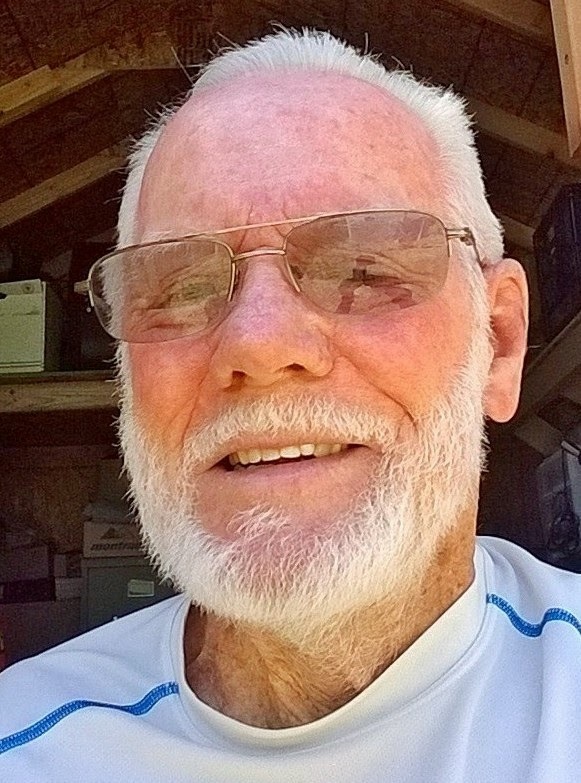 For my 79th year, backpacking in the High Uintas requires good physical conditioning. Seasoned hikers like me have to work hard at getting in good enough shape to do it, and then we have to be careful to not lose it–which happens quickly if we don’t work at it. In my case I find that means EVERY DAY as you see me doing here, with a pack on my back full of rocks, and double quarts of water. It was 45 lbs. during January, then up to 50 lbs. for February, and March exactly 56 lbs. For April it is now 60 lbs. Most days it’s just around a big block, but every other day longer, like going to the Fresh Market for groceries, or to the Post Office. To avoid loosing my footing and falling into a ravine, you also need good balance. So every other day I walk the rails some, working at being able to do a good distance without falling as I could as a yougster–when I could also even jump back and forth without falling. I won’t go that far with a pack, but I am working on my balance too, near where my Cabin A trailer is parked in American Fork, Utah. I backpack with purposes that make it interesting and a lot less painful, like: Always having a sharp eye out for wildflowers, mushrooms, animals, birds, what I call “textures of nature,” or even…..Big Foot….do you see him in the shot below? You’ll notice it was a bit dark….like as though I was seeing him in a dream when resting and dozing off on the trail……. ……but also noticing carefully the difference between good mushrooms, and deadly poisonous ones, like Gray Panther we see above……. and recording them with my camera to enjoy forever, and be able to SHARE with all of you. Likewise I exercise with purposes too, one of which is to pick up things that might cause one of you to have a flat tire…I’m trying to be “MY BROTHER’S KEEPER!” So below you see me bending over to pick up something that could do someone a lot of damage–with the benefit to me of doing MANY BENDING EXERCISES! 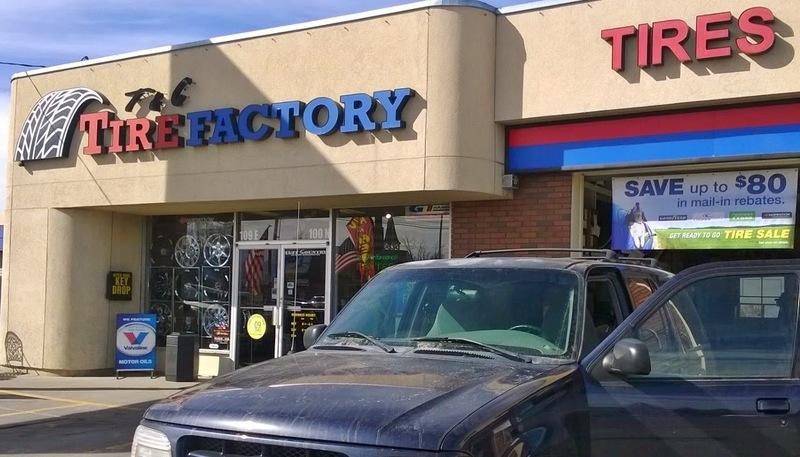 In this case it happens to be part of a broken bottle that could not only give someone a flat tire, but totally ruin the tire….so I pick it up to add to my collection. Much of this could puncture or ruins tires of my American Fork neighbors. HOW MANY HAVE I SAVED? HOW MANY BENEFICIAL BENDING EXERCISES? Also many coins–some very old. I’ve got to clean them one of these days. At 16 years old I had a dream that I would be dedicating all my “riches” to helping some needy people. 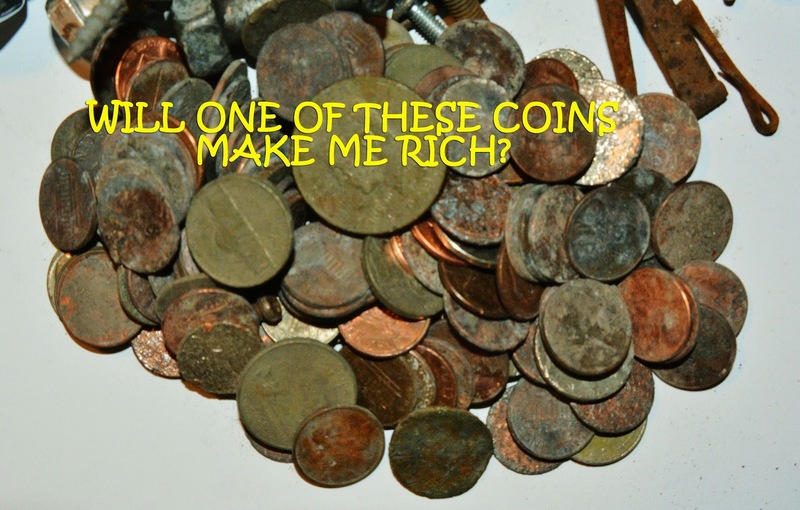 Will the “RICHES” come from one of these coins? By now you might be thinking like many who see me hiking around town with a pack on my back, stop and offer me handouts, or offer me a ride. I joke with them about not being a “weird old guy” …..
Now the dirty little secret is out that likely I’m the one who needs to somehow become …….a millionaire! Among the collection are also a few square nails…….very old, like used by the early 1867-1880 Tie Hackers. 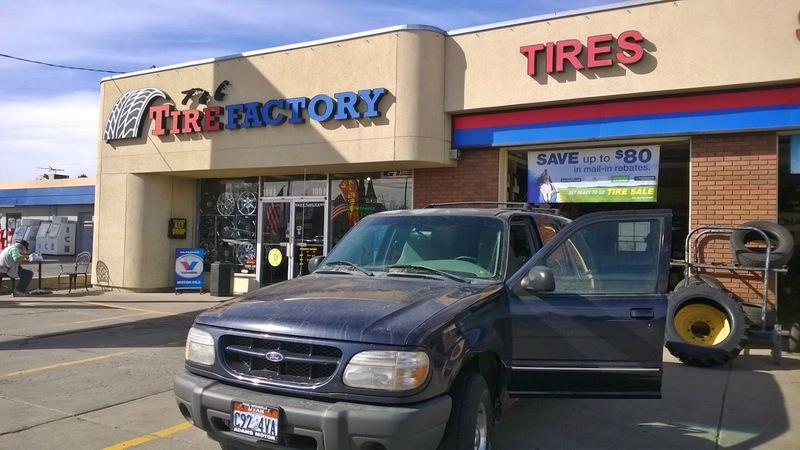 by helping many avoid a flat or ruined tire! ……..but, among them is one that is separate…down to the left as I missed it! 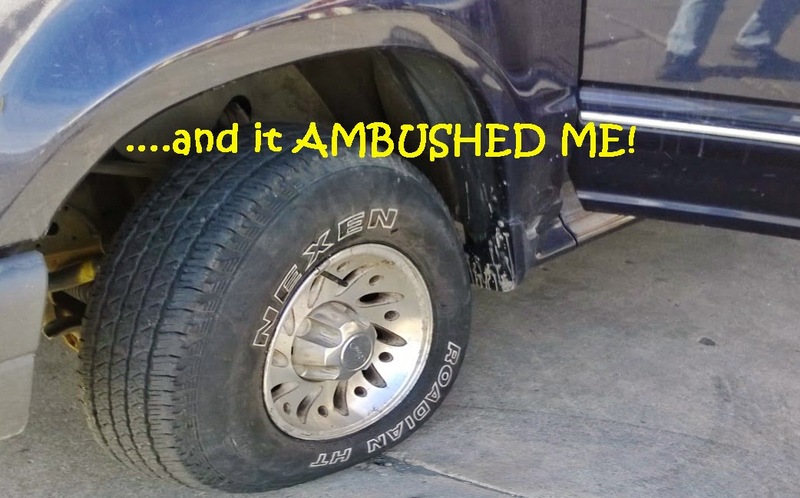 I forgot to take a picture of the flat tire, so this one was photo-shopped to show I SAVED EVERYONE ELSE, BUT COULDN’T SAVE MYSELF! 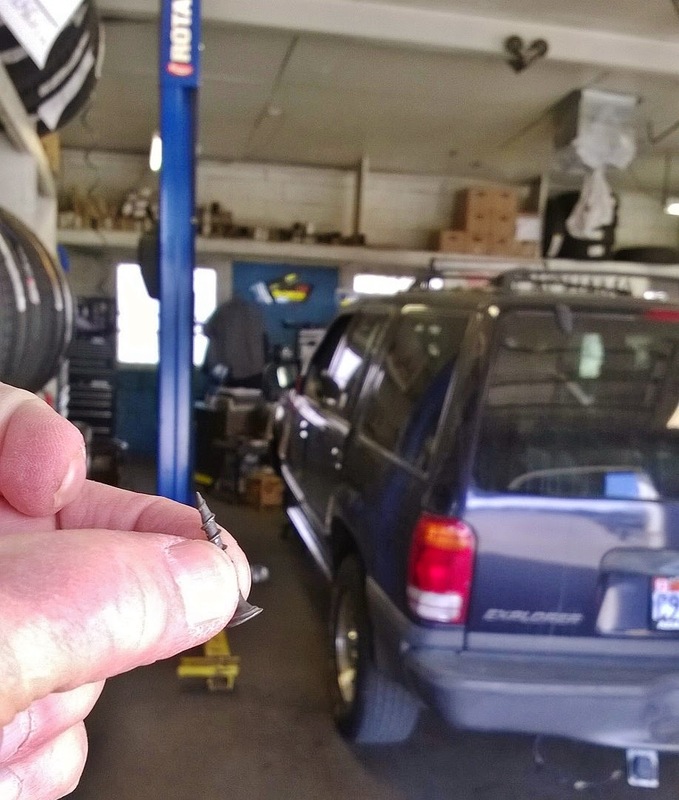 So, off to the repair shop………..
……..and WOW, how they took care of me! 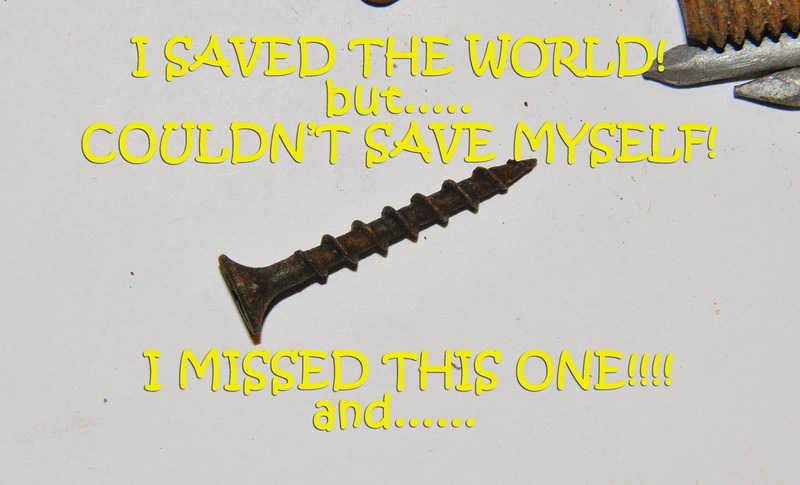 Hey you guys…..since I apparently can’t SAVE MYSELF, don’t throw screws or nails onto the street, and if you see any, PLEASE PICK THEM UP!